About Our Firm - Howland, Hess, Guinan, Torpey, Cassidy & O'Connell, LLP "
The proud history of Howland, Hess, Guinan, Torpey, Cassidy & O'Connell, LLP, dates back over 160 years, beginning in the historic Frankford section of Philadelphia and finally practicing in the Bethayres section of Huntingdon Valley, Lower Moreland, Township. With over 16 decades of experience behind us, the firm is rich with history and tradition, and steeped in the philosophy of devoted dedication to our clients. On August 3, 1885, Mr. Guernsey Hallowell went into the business of conveyancing and real estate with William H. Shallcross at 4510 Frankford Avenue. The Shallcross family was a prominent family in Frankford, and were conveyancers. The firm remained there at the Frankford Mutual Fire Insurance Company building until the 1950's. On November 21, 1897, O. Roger Melling became associated with Mr. Hallowell and in 1924, Mr. Hallowell and Roger Melling formed a partnership for the practice of law, real estate and conveyancing under the name "Hallowell & Melling". By 1935, Mr. Hallowell retired and Mr. Thomas S. Howland joined the firm forming "Melling & Howland". In 1949, Robert G. Hess became associated with Thomas Howland and Roger Melling and at Mr. Melling’s death, formed "Howland & Hess". Over the years, they were joined by current partners, Richard I. Torpey, Thomas M. Guinan and Bruce D. Hess, son of Robert, as well as John R. Howland, who recently became of counsel to the firm. In 1988, Howland Hess moved their offices to 2444 Huntingdon Pike in Huntingdon Valley, where Michael W. Cassidy joined the firm in 1997. Howland Hess merged with Rockledge law firm, ‘Barbin & O’Connell,’ proudly welcoming George P. O’Connell, a 35 year partner, and associate Dennis R. Meakim to the team in 2012. Howland, Hess, Guinan, Torpey, Cassidy & O’Connell, LLP, Attorneys-at-Law, have continued to practice in Huntingdon Valley ever since. 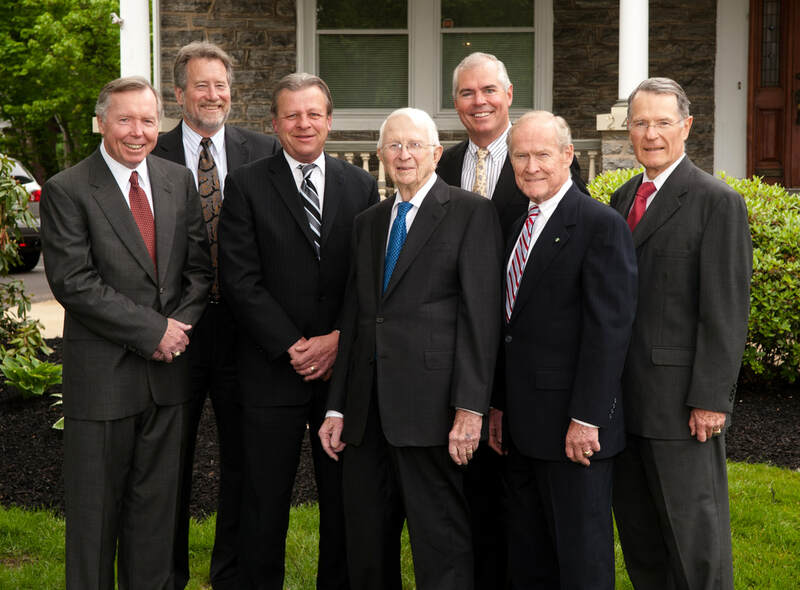 The Partners, Associates and Staff here at Howland Hess O'Connell proudly continue to serve our clients throughout Greater Philadelphia, Montgomery County and Bucks County areas.